HOBOKEN, NJ – An innovative and creative marketing strategy designed for today’s mobile world is paying significant dividends at Vine, the upscale Hoboken rental building conveniently located near the 9th Street Light Rail Station. The Marketing Directors, the building’s exclusive marketing and leasing agent, along with developers Bijou Properties and Intercontinental Real Estate Corporation, have formulated a unique promotional program that emphasizes Vine’s transit-friendly location by attracting the attention of commuters often tied to smart phones or PDAs. 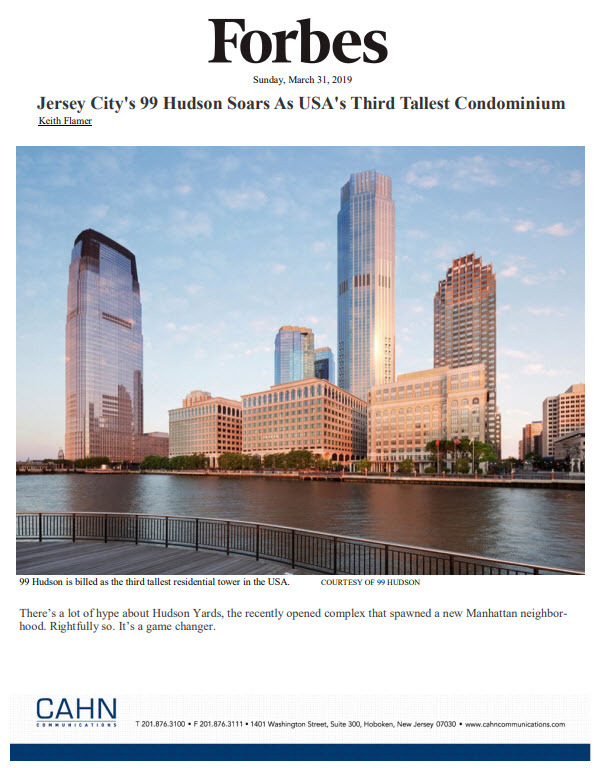 Strategic placements of advertising and marketing materials in heavily-trafficked mass transportation outlets has always been a key to leasing success in urban areas such as Hoboken and Jersey City, and reaching busy prospects through mobile devices is a 21st Century must. The team at Vine has taken an inventive approach that combines the two and goes beyond the palm of the hand. Instead of traditional eye-level ads on in-train billboards and platforms, Vine has found success with floor graphics that are capturing the attention of potential renters looking down to check email or browse on their smart phones. A leading traffic source for the building has been a floor graphic created by Secaucus-based advertising agency New World Group at the Hoboken PATH station, fertile ground for prospects. The most recent installation, which features building amenities such as the resident-only pool, has quickly made an impression on renters and fueled an uptick in reservations with 13 leases signed at Vine in the week leading up to July 4th – a traditionally slow period for rental activity. “It’s no secret many apartment hunts are conducted on IPhones and other mobile devices. Developers and marketing agents are actively promoting to these digital products through email, text message and popular online and social media platforms,” says Jacqueline Urgo, President of The Marketing Directors. More than 50% of the 135 apartments at Vine have been leased just months after opening to the public, thanks in large measure to the marketing campaign and floor graphic which is modified to spotlight all of the buildings desired attributes. Vine, an 11-story building, features a mix of one-, two- and three-bedroom rental residences with monthly rents starting from $3,350. Residences are available for immediate occupancy. Homes at Vine boast a number of designer and energy-efficient features, including sustainable bamboo flooring, oversized windows, kitchens and baths with modern fixtures, Frigidaire and Bosch Energy Star appliances, granite countertops and modern cabinetry. Lavish baths with recycled porcelain tile are also a staple at Vine. The centerpiece of the upscale, activity-rich lifestyle enjoyed by residents of Vine are the pool and outdoor deck, which are situated on a rooftop terrace. Both areas have been designed as a vibrant recreational and social destination boasting individual barbeque stations, separate outdoor lounge areas, poolside sunbeds and lush landscaping. The comprehensive living experience at Vine does not end with the pool, sundeck and rooftop terrace. Vine also boasts a clubroom and fitness center, bike storage, free shuttle service to the nearby Hoboken PATH station and an onsite automated parking facility. A 7,000 square-foot public park adjacent to the building built by the developers of Vine is available to residents as well. Situated just steps from the 9th Street Light Rail Station, Vine blends an upscale living experience with the convenience of quick access throughout New Jersey’s Hudson River “Gold Coast,” including Hoboken’s PATH, New Jersey Transit and Ferry terminals with service to Manhattan. Vine features 13,500 square feet of street-level retail space, occupied in part by a Daycare Center.